Hush yourself and look away from that swanky black shirt or your stunning little black dress as dandruff can get ruthless. The little white flakes can wreak havoc, putting you in an embarrassing situation in a social gathering. And besides depriving you of an exciting wardrobe, dandruff can cause itchy scalp, making it hard for you to manage on a day-to-day basis. Dandruff is often attributed to poor hygiene and/or improper diet. In most cases it results from the flaking of scalp triggered due to dryness. Dietary nourishment as well as topical moisturisation can help keep the condition at bay. Sometimes, when the scalp's pH goes out of sync, it attracts a host of skin disorders leading to dandruff. Some of the most traditional dandruff remedies are also the most effective in curing the woe; however, understanding the condition better and knowing its precise cause is always better to zero down on the effective cure. The logic works the same as it does for your skin. When you don't moisturise it enough, it'll start getting dry and flaky. This is one of the reasons why some people experience dandruff only in winters when the skin is stripped off all the moisture. Most of us indulge in hot water showers, which worsen the condition. 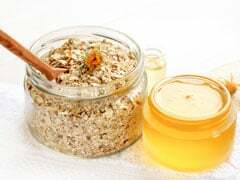 The key is always to include nourishing foods in your diet and use an effective anti-dandruff shampoo. Drink plenty of fluids. 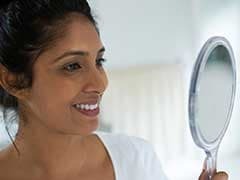 A leading Delhi-based dermatologist, Dr. Deepali Bhardwaj, cautions against using hair oil, "Oiling is not always great as it may let the scalp fungus, Malazzesia, feed on it and spread further. 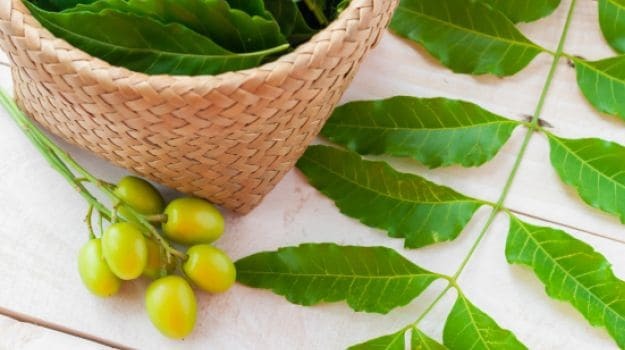 (b) treating abnormal production of sebum/oil. Oily scalp becomes a feeding ground of a certain fungus called Malassezia. Such a condition facilitates thriving of the fungus thereby aggravating dandruff. Other ailments affect our bodies in numerous ways. 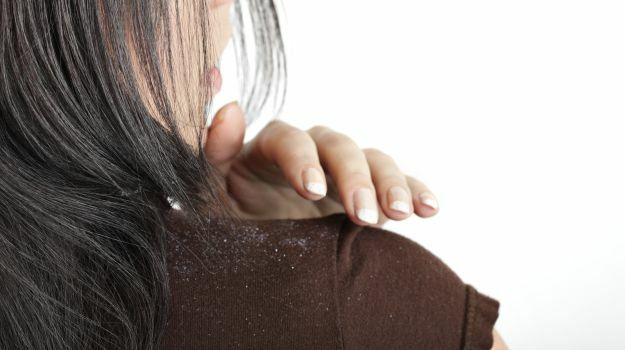 Some skin disorders like eczema or psoriasis can trigger dandruff. You can be allergic to a certain drug, chemical or food item which can react in a way to cause your skin (including your scalp) to itch and flake. Seborrheic dermatitis is a form of acute dandruff, which usually occurs at the back of the head and near the neck. It can also spread to the rest of the scalp and is often accompanied by sores, itchiness and red patches. Note: All aforementioned conditions must be treated professionally. While acute conditions can only be resolved medically, some easy tips and tricks can ensure keeping that chalk-powder off your shoulders. - The key is always to keep your scalp clean, healthy, and hydrated with enough blood and oxygen supply. - Hot water hair-wash is a strict no-no. - Always ensure cleaning your accessories like clips and combs regularly. - Cut down on styling products and make sure there are no product residue in your hair or scalp. - Never share your comb and carry it with you whenever/wherever possible. - Dandruff can often lead to hair-fall, hair damage, split-ends, etc. - The simplest way to treat dandruff at home is to include everyday items in your hair-care regime such as vinegar, lemon juice, neem and baking soda. Traditional home remedies are always best to combat dandruff. While aloe vera comes studded with cooling and anti-inflammatory properties, neem acts against fungal and bacterial infections. Dr. Bharadwaj claims vinegar to be her favourite anti-dandruff agent - "you can mix white vinegar with water in equal quantities and apply on the scalp. Leave it for 20-30 minutes followed by a head-wash. Dilute 1 part of Savlon (Cetrimide) in five parts of water and apply on your scalp using cotton. Leave for a couple of hours and wash off with a mild, anti-dandruff shampoo. Follow for 2-3 days for best results," she concludes. Always consult a certified expert or a dermatologist before trying out remedies or anti-dandruff products. There are various anti-dandruff products in the market that suit different scalp types and also cater to specific sensitivities and/or allergies. Finding a right fit is therefore imperative.